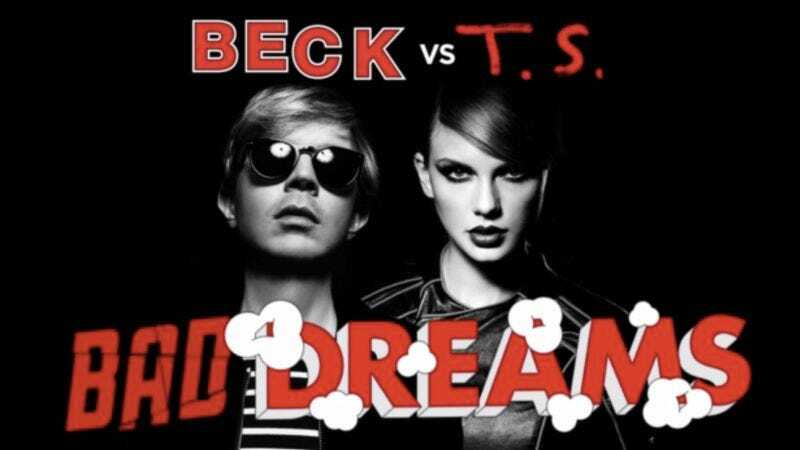 Hot on the heels of a live Taylor Swift-Beck performance at Los Angeles’ Staples Center comes “Bad Dreams,” the mashup of Swift’s “Bad Blood” and Beck’s “Dreams” that no one really asked for but that most everyone will at least enjoy a little bit. Though Swift’s vocals are weirdly pitched downward on the track, the mashup still works pretty well, with the addition of “Dreams” giving “Bad Blood” a slightly more upbeat vibe. Taylor Swift x Beck - Bad Dreams from smiff prime on Vimeo.